More than 300 prominent women in Hollywood have launched a new initiative called Time’s Up to combat sexual harassment and gender inequity in the workplace. The project, which began Monday with the unveiling of the new Time’s Up website, includes a $13 million legal defense fund aimed to help less-privileged women — including those in non-entertainment fields — protect themselves from sexual misconduct and the potential fallout from reporting it. Tina Tchen, Michelle Obama’s former chief of staff, has spearheaded creation of the fund, which will connect harassment victims with lawyers. The fund, which is still soliciting donations, will be administered by the National Women’s Law Center’s Legal Network for Gender Equity. Another working group of the leaderless Time’s Up initiative plans to lobby for legislation to penalize companies that tolerate persistent harassment, and to discourage the use of nondisclosure agreements that prevent accusers from making their experiences public. An additional group, dubbed 5050by2020, is pushing for 50-50 gender parity in executive positions at Hollywood studios, TV networks and talent agencies. Time’s Up has also called on Hollywood women — and male supporters — to wear black at this Sunday’s Golden Globes and other upcoming awards shows as a gesture of solidarity with individuals who have broken their silence about harassment and assault in the industry in recent months. 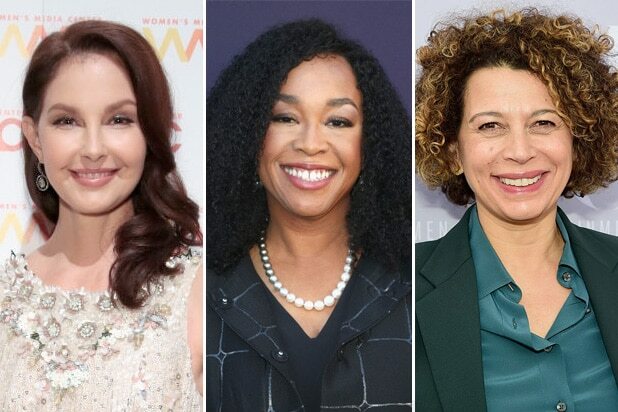 According to the New York Times, the group’s members include actresses Ashley Judd, Eva Longoria, America Ferrera, Natalie Portman, Rashida Jones, Emma Stone, Kerry Washington and Reese Witherspoon; TV showrunners Shonda Rhimes and Jill Soloway; and Universal Pictures chairwoman Donna Langley.